When journalists and climate scientists speak with each other—usually over the telephone concerning a specific story the reporter is working on, or at a professional conference—their discussions generally involve a particular research project or matters related directly to climate change and climate change science. Seldom do they discuss at any length issues related to the communication of climate change information—either that from the scientist to the media or from the media to the public. A new book, based on a unique series of meetings between those two groups, which took place between 2003 and 2007, provides some of the collective wisdom of that effort. Published by the Metcalf Institute for Marine and Environmental Reporting, a non-profit journalism organization based at the University of Rhode Island’s Graduate School of Oceanography, Communicating on Climate Change: An Essential Resource for Journalists, Scientists, and Educators is a great primer for anybody new to the beat, to the lab, or to the general effort to better explain the scientific facts underpinning one of the most pressing and far-reaching issues of our time. “Frustration was the impetus behind the workshops that form the basis of this book,” writes author Bud Ward, a longtime environmental journalist and educator who runs the Yale Forum on Climate Change & the Media. 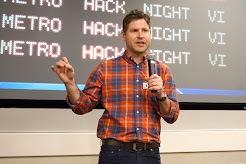 He and Anthony Socci, a senior communications fellow at the American Meteorological Society, organized and directed the five-year project, which was funded by the National Science Foundation. 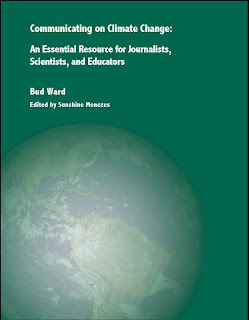 Ward, who was recently named 2009 Climate Communicator of the Year by George Mason University, offers a point-by-point list of ways that journalists, scientists, and institutions can better convey information to each other and to the public at large. It’s a long list, comprising solutions for those with resources to burn and those operating on shoestring budgets.